It's all about the engine. High-performance luxury SUVs are big business for Audi and BMW, so of course there’s an entertaining battle between the two for the ultimate uber-tastic models. , but what we’re particularly anxious for is the . That will likely happen this September at Frankfurt, but today has learned which engine Audi has chosen to power this thing: the 2.9-liter twin-turbo V6 straight from the RS5 Coupe. Power will be routed to all four wheels, which is a given. Exact power and performance figures aren’t available yet, but expect roughly the same 444 hp as the RS5. However, because the RS Q5 will be heavier than the RS5 (SUV vs. coupe), performance times will take a slight hit. Still, a 0-62 mph time of less than five seconds seems doable, while top speed will once again be electronically limited to 155 mph. 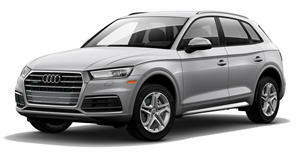 Notable exterior differences from the Q5 and SQ5 will include the familiar RS upgrades, such as sculpted air intakes, LED headlights, and larger wheels with low profile tires. The interior will be covered in premium leather and lots of carbon fiber trim, as well as RS badging galore. 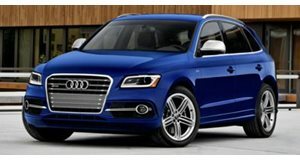 Pricing will likely start at around $65,000, given that the current SQ5 begins at $54,000. 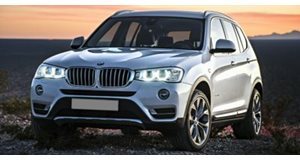 Along with the also upcoming first ever BMW X3 M, other rivals will include the Porsche Macan Turbo and the Mercedes-AMG GLC 43. More details should arrive in the coming weeks.